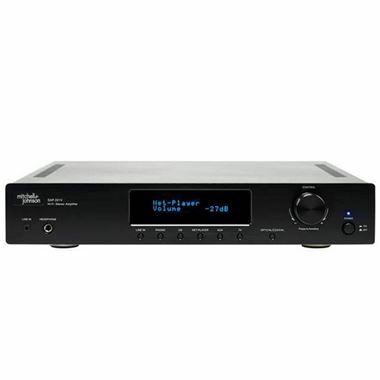 Mitchell and Johnson SAP-201V Digital Amplifier. Available with Online Finance and Free Delivery. Mitchell & Johnson SAP-201V Digital Amplifier - A solidly built stereo amplifier featuring audiophile grade components throughout including a toroidal transformer, a feature not usually found in budget amps. It also has a built-in Wolfson Micro WM8761 chip making this amp one of the first in its price category to offer a built in DAC. This amplifier performs well above what would usually be expected from a product of this price. Needs to be heard to be believed!